Have you decided to overhaul a country house or a cottage? Are your plans to replace and install important communications? So this article is for you! 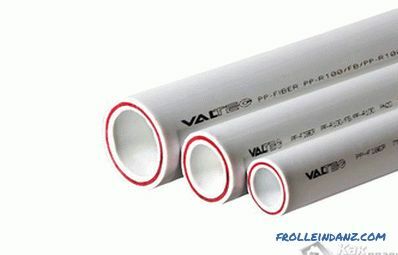 Here you will not find advertising, but only material that will help to conclude which polypropylene pipes to choose. Polypropylene is resistant to corrosion. Due to this, for many years the pipeline retains its original quality indicators. The service life of polypropylene pipes exceeds the service life of metal pipes by three or even four times. Resistant to possible biochemical aggressive influences. Even under extreme weather conditions, polypropylene pipes remain super-reliable. Fittings and pipes themselves are not subject to rupture in the winter time. Lack of vibrations and noise. The noise that exists in the pipes is not so significant as to cause inconvenience to others. Lack of strong hydraulic resistance, as a result, the inner shell of the pipe does not affect the water pressure. Unlike steel pipes, polypropylene saves 20% heat of hot water. Does not create problems during installation. Thanks to a large number of various fittings, it is possible to make a plumbing system of any configuration. Polypropylene does not affect human health. So, it makes no sense to doubt the quality of polypropylene pipes. Now we proceed to the review of pipes of different global manufacturers. Turkish quality or soap bubble? Among a wide variety of polypropylene pipes, Turkish pipes occupy a separate place that is rightfully deserved. Consider the seven types of polypropylene pipes, which are reliably familiar in the domestic market. TEBO technics. TEBO technics pipes are produced Ø20-Ø160 mm. They are used for water supply and heat supply in industrial enterprises. They do an excellent job with transporting various aggressive chemical mixtures. The TEBO technics product line includes the production of PN10 and PN20 pipes. This type of polypropylene pipes is intended directly for the creation of water supply networks. 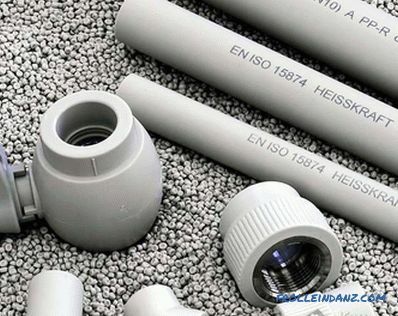 The Turkish company TEBO technics carries out the production of reinforced pipes and fiberglass. Estimated TEBO technics occupies a middle class fitness. There should be no problems with working with these pipes. Pilsa. Unlike other polypropylene pipes, Pilsa is distinguished by its elasticity, strength and durability. Due to this, these pipes are successfully used in cold / hot water supply systems and heating systems. For heating system and hot water, it is customary to use Pilsa PN20, and for cold water supply PN10. For several years after their installation, you will not worry about their maintenance. The most important requirement is compliance with installation technology. Pilsa polypropylene pipes must not be hidden in a wall. 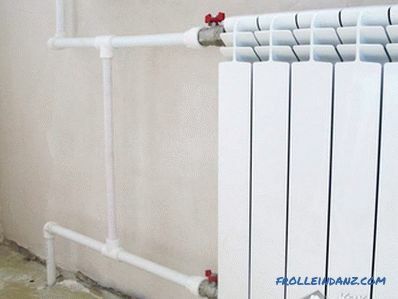 In order to use these pipes in the heating system, a controlled boiler must be used, since otherwise temperatures of more than 95 ° C can be given. For objectivity, one drawback of Pilsa pipes should be noted. After stripping pipes from aluminum, it can partially remain on the surface. This results from the fact that pipes have small ovality. Wesbo. The Novoplast Turkish plant produces polypropylene pipes, which are known as Wesbo. Although the price of these products is low, they are of high quality. However, with regard to a set of shaped elements, there is a big minus, as the choice is very small. But this is probably the only negative, so they are also very popular in our market. Valtec. Valtec Turkish pipes are of the best quality. Here PP-R 100 fittings are manufactured, which allows pipes to have greater reliability and durability. Pipes have a perfect round shape. The arrangement of the foil in the reinforced tubes is perfect. Firat. Fittings and pipes of the PPRC system from the Turkish company Firat are manufactured according to all existing international quality standards. Over the years, the company occupies a leading position.These pipes are easy to install and maintain. They do not rust. The only drawback of Firat pipes is the high coefficient of expansion when they are heated. If you use them in hot water supply, then Firat pipes can lead. Kalde. Often Kalde pipes are compared to Ecoplastics. But this comparison is not objective, since Kalde pipes have a solid aluminum shell. Ecoplast has a perforated shell. Inside the plastic Kalde gray. According to reviews, Kalde polypropylene pipes are softer and more malleable, and due to the lack of perforation on the aluminum layer, pipe delamination can occur. If the Kalde pipe mounting technology is not followed, bubbles appear on the surface of the pipes. Their laying is allowed only outside the wall. Jakko. 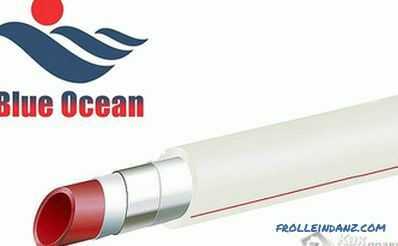 The company produces high-quality polypropylene pipes - reinforced with fiberglass. In the process of soldering, they show themselves from the best side. Joints can flow only in the absence of experience from the specialist who soldered them. Although most often problems arise when brazing hot water and heating. 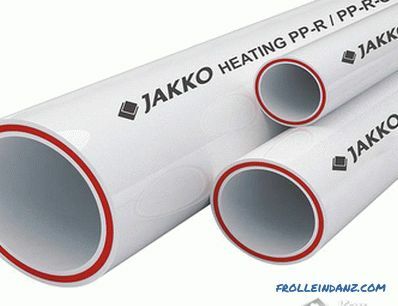 For cold water, Jakko pipes are ideal. Although the manufacturer claims a minimum level of linear expansion, sagging is observed on the track of more than nine meters. To cope with the problem of sagging, it is possible to install compensators in the pipeline. On average, every four meters. Chinese pipes - cheap fake or good quality? Blue Ocean. The Chinese company Blue Ocean produces high-quality polyethylene fittings and pipes. As shown, the pipes from the manufacturer Blue Ocean perfectly soldered. For these pipes, it is common to use soldering iron tips with small roundings, which are located inside the nozzle. Thanks to this innovation, aluminum is better sealed with a layer of polypropylene. One of the drawbacks of the pipe is the diameter error, which can vary within small limits. Moreover, as installers say, the Blue Ocean pipes are tightly inserted into the soldering iron. And you have to solder on the eye, since the red line is drawn in a spiral. Dizayn. Dizayn pipes are reinforced. Before their soldering is not required to clean the aluminum. 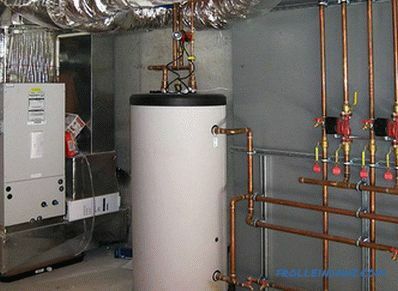 Due to this, their installation for both cold and hot water supply is accelerated and simplified. As a result, solder joints have an aesthetic appearance. On the market in Russia, Chinese pipes Dizayn occupy a worthy place. Even non-specialists can work with them. 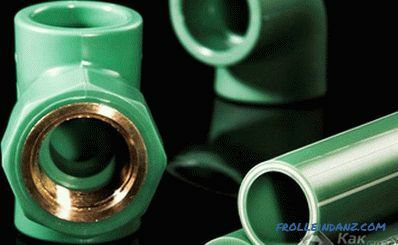 According to some indicators, they are not inferior to the leading European brands of polypropylene pipes. So, although China is famous for producing cheap building materials, you can find high-quality polypropylene pipes. Are Czech pipes the standard of quality? In the polypropylene pipe market, Czech pipes also take their place. And in order to make sure of this, we propose to consider the features of well-known brands of Czech polypropylene pipes. PN 20 - for hot water and central heating. PP-R - all-plastic PN 10, PN 16 and PN20. Ecoplastik Stabi is a multi-layered PN 20. The pipe consists of a layer of plastic, foil and aluminum. WAWIN Ecoplastik manufactures fiber-reinforced Fiber pipes with fiberglass. They are used in various directions: heat supply, plumbing systems for any purpose. Before their soldering there is no need to clean the surface of aluminum. The pipes Fiber have high durability with linear expansion by 3 times. FV-Plast. 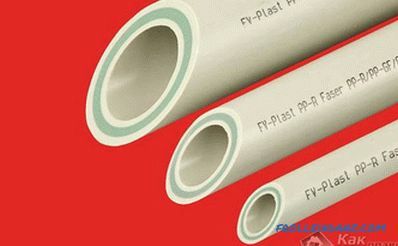 Czech FV-Plast pipes are used for heating and water supply systems. The design of the pipe includes a layer of aluminum.Due to this, the pipe design is more resistant to temperature changes. 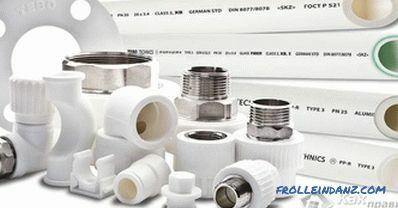 Due to the large number of fittings, you can solder all kinds of water supply and heating designs. FV-Plast is used not only for the manufacture of plumbing and heating systems. They are used in agriculture and industry. Also used for wiring ducts. The low weight of the FV-Plast pipe makes installation simple and safe. On the inner wall of the pipe there is a slight roughness, which does not affect the water pressure in the system. brand. Although our market is filled with imported materials from different countries, Russia also produces polypropylene pipes. There are several well-known manufacturers of Russian polypropylene pipes. PRO AQVA. PRO AQVA polypropylene pipes are used in various areas: water supply, heating, pneumatic lines and technological pipelines. These pipes are able to withstand operating temperatures up to + 95 ° C. They are resistant to corrosion. Easy to install. Differ in high chemical resistance. Harmless to the environment and to humans. Unlike Chinese pipes, PRO AQVA is 1.6 times stronger. Only PRO AQVA can withstand a pressure of 79.5 atm, therefore, their operating life exceeds the service life of all its analogues. RBK. Since 2007, RBK has manufactured multi-layered polypropylene pipes PN 25. 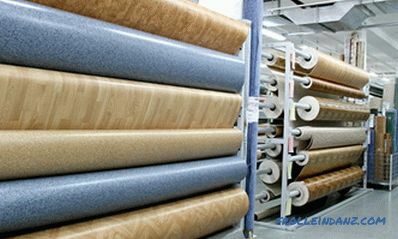 PP-R / AI / PP-R polypropylene is used for their production. There is aluminum reinforcement in the middle of the pipe. In reinforced pipes, a layer of aluminum is located outside the walls. For objectivity, it should be noted and negative customer feedback, which converge on the fact that the diameter of the pipes is walking. Heisskraft. Pipe reinforcement occurs in Germany. Heisskraft pipes are of high quality. They have a characteristic gray color. This is explained by the fact that technical carbon black is added to the composition of polypropylene. This substance serves as a stabilizer for polypropylene pipes. Politek. Politek pipes are little known in our market. Although, according to reviews, we can conclude that these pipes have a higher than average rating. 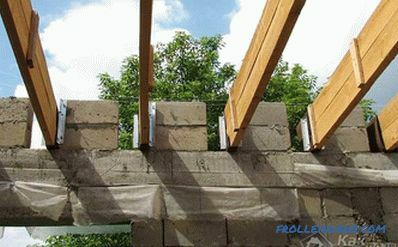 But, according to installers, the walls are subject to deformation during compression. When soldering pipes Politek do not create any difficulties. The only negative is that the fittings are not always commercially available, so they should be bought at the same time when you buy the pipes themselves. 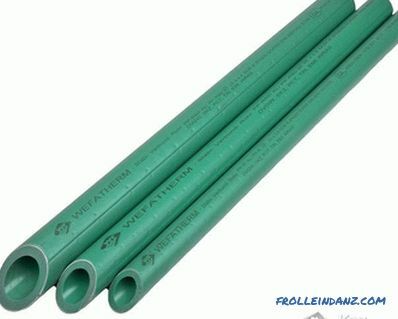 Polypropylene pipes made in Germany are of the highest quality. To verify this, you can view the following characteristics of well-known manufacturers. The inner surface of the pipe walls is smooth. As a result, the water pressure does not fall. A wide range of fittings that allows you to combine WEFATHERM pipes among themselves and other systems. A perfectly hermetic joint is formed by the method of diffusion welding. It does not take much time to cool down and process the compound. Akvaterm GMBH. 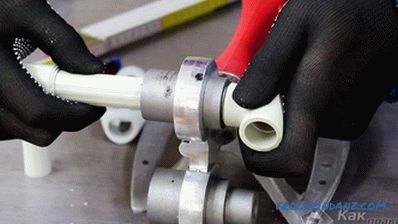 The German company Akvaterm GMBH is a leader in the production of polymeric pipe materials. The products are used for laying a heated floor, heat supply, water supply, air conditioning and fire fighting. Pipes Akvaterm GMBH available in different series and versions. Fusiotherm pipes are also used to pump more than three hundred types of chemicals. Faser is used for heating. The diameter of pipes and fittings ranges from 20 to 250 mm. The pipe includes fiberglass and reinforcement. 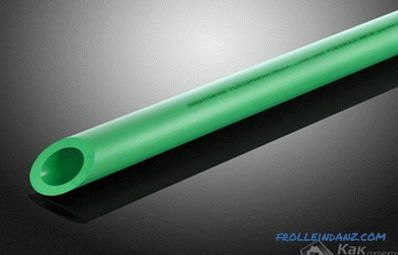 Faser polypropylene pipes withstand operating temperatures up to + 95 ° C with pressures up to 20 atm. Product color is green. The pipes are also made in white color, but Ø20-40 mm. Stabi pipes have also proven themselves on the positive side. These are perforated pipes with a layer of aluminum. They are recommended to be used for heating systems. The diameter of the Stabi ranges from 16 mm to 110 mm. Peak operating temperature is + 130 ° C with a pressure of up to 20 Atm.Pipes distinguished by the presence of perforation. Climatherm products are used for cold water and air conditioning. The diameter of the pipe is 20-630 mm. 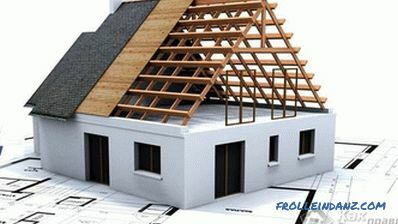 The composition of polypropylene includes fiberglass and a layer of reinforcement. BANNINGER series PN 20 and PN 16. These pipes are used for hot and cold water. They are made of PP-RCT polypropylene. This is the material of the new generation. Its structure resembles a crystal. Its technical characteristics are improved by 50% compared with all analogues. Numerous crystals in the structure of polypropylene are formed due to a special cooling technology. The result is a very flexible and dense product. These features make it possible to withstand pressures up to 20 bar at + 95 ° C for a long time. BANNINGER Stabi. The Stabi pipe series is made of a multi-layer composite material. They are mainly used for heating and water supply for hot and cold purposes. These tubes are made of a copolymer of PP-RCT crystal structure. BANNINGER Stabi is distinguished by a large number of positive characteristics, for example: minimal thermal expansion and high mechanical strength. Before welding the pipes, it is necessary to remove the polypropylene and aluminum layer. BANNINGER Faser. Similarly applied to water and heating. The structure of the plastic resembles the structure of a crystal. Pipes reinforced with fiberglass. Unlike conventional polypropylene pipes BANNINGER Faser are characterized by high strength, resistance to temperature differences and a small indicator of the coefficient of linear expansion. BANNINGER Faser pipes do not require pre-stripping of aluminum. This greatly speeds up and simplifies the installation process. BANNINGER Climatec. The BANNINGER Climatec pipe is made of composite multilayer materials. Used primarily for air conditioning, ventilation and industry. The inner plastic layer is reinforced with PP-fiberglass. BANNINGER Climatec, unlike Stabi, is not stratified. Do not require pre-stripping. Rehau. In Russia, the most famous German polypropylene pipes from Rehau. 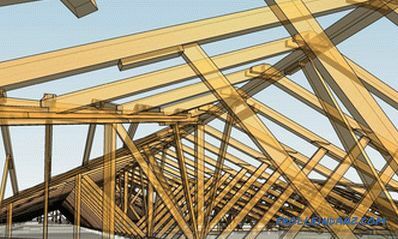 Used for various engineering structures in residential and public buildings. The duration of operation depends on the skill level of the specialist. So, we have reviewed with you the features of the famous German polypropylene pipes. As can be seen, their range is diverse, and the scope of application is wide. Given this a variety of polypropylene pipes, it is difficult to give preference to anything. In fact, the final selection should take into account several important factors. For example, features of the future operation of the soldered pipeline: cold, hot or heating. Follow these recommendations, and you will definitely choose high-quality polypropylene pipes that will last more than one year. If you have your own experience, then share it by leaving comments on this article.